First published in The Australian on 19 July 2016. In the Middle Ages, Catholic pilgrims donned leather sandals and headed to the Holy Land, San­tiago de Compostela and other sacred sites in a rite of passage bringing them closer to their faith. Centuries on, they’re continuing the tradition with a contemporary twist, clutching Havaianas, iPhones and inter­national air tickets as they head to Cracow, Poland, for World Youth Day, which kicks off next week. More than 2.5 million young Catholics will attend the event — the largest in the Catholic Church’s international calendar — including a contingent of more than 3000 from Australia. “It feels like no one’s left in town,” Ashleigh Green, 24, said as she prepared to head to Europe. 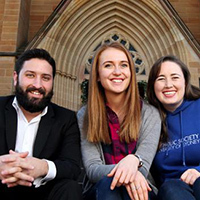 Ms Green, who studies social work in Ray Haven on the NSW central coast, will meet six members of her church for a week-long tour of Germany before joining more than 230 parishioners from the Broken Bay diocese. 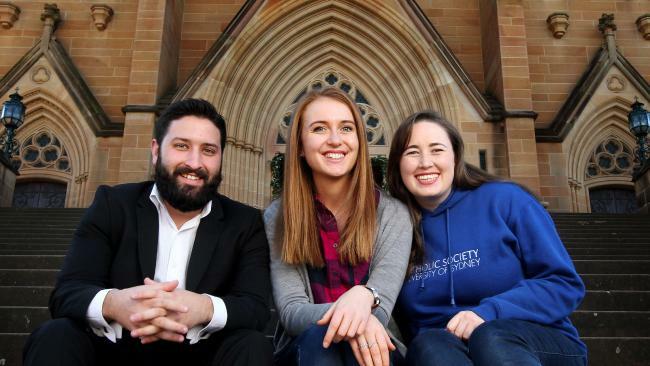 Other Sydneysiders Laura McAlister of East Killara and Justin Faehrmann of North Strathfield also left at the weekend for the pilgrimage, which culminates in an all-night vigil and morning mass hosted by Pope Francis, attended by more than 2.5 million. Local bishops credit the event as a key factor galvanising the faith of young Catholics at an age when many leave the church. “For many people, it comes at a critical point,” said Canberra-based Archbishop Christopher Prowse, who left Canberra for the event with six parishioners. The event is held every three years in a different country, with Rio de Janeiro hosting 3 million people in 2013. Sydney attracted more than 400,000 to its World Youth Day celebration in 2008. The most recent figures, compiled in 2011, show Catholic churchgoers in Australia have a median age of 60, with those aged 15-24 years making up less than 7 per cent of the national congregation — down 8100 since 2006. Yet, in figures to be released this year, members of the ministry expect to see green shoots of ­attendance among some demographics of young people, consistent with broader trends where some US and British church communities are enjoying renewed interest from educated groups. Ms Green said World Youth Day made her feel less isolated in her faith. “For so many of us young people at church, you can feel like you’re surrounded by … older generations, but when you go to something like this you realise that faith is so important to millions of other young people. You’re not alone,” she said. Throughout Cracow, the birthplace of John Paul II, theatres, sports halls, clubs and arenas will host sermons, concerts, bible study and other discussion dedicated to parsing the role of faith in modern life, and what it is to believe in God. All said the vigil and mass with the Pope would be the highlight, likely a life-­defining experience. This entry was posted in World Youth Day and tagged Krakow, World Youth Day, WYD2016 on July 21, 2016 by ACBC Communications.